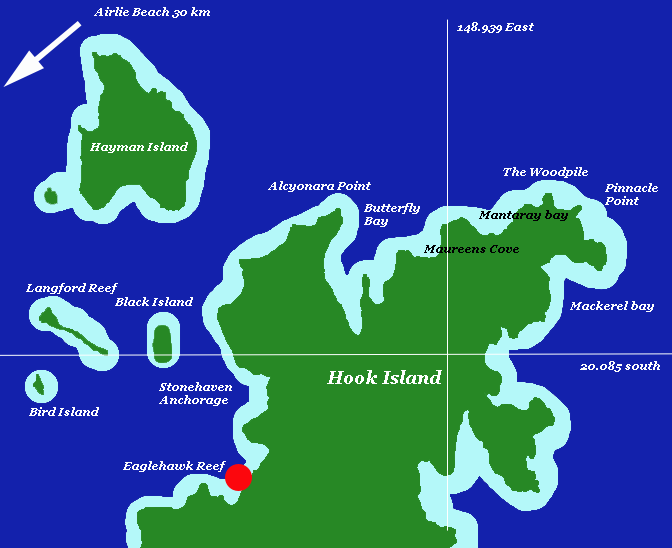 Stonehaven Anchorage is located on the northwest coast of Hook Island about 25 kilometres from Airlie Beach. 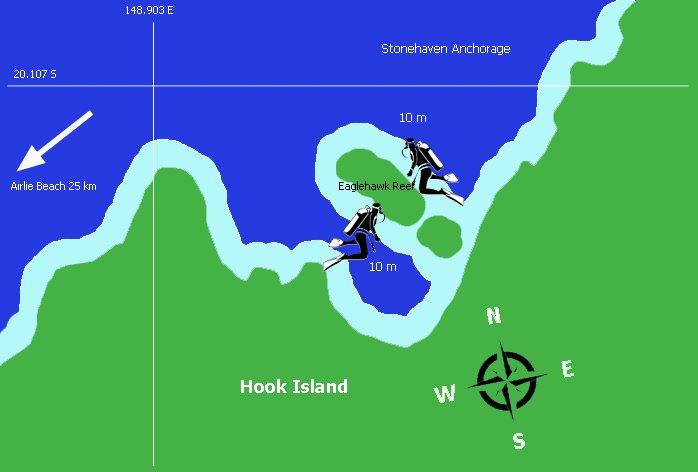 In the bottom southwest corner of Stonehaven lies Eaglehawk Reef. 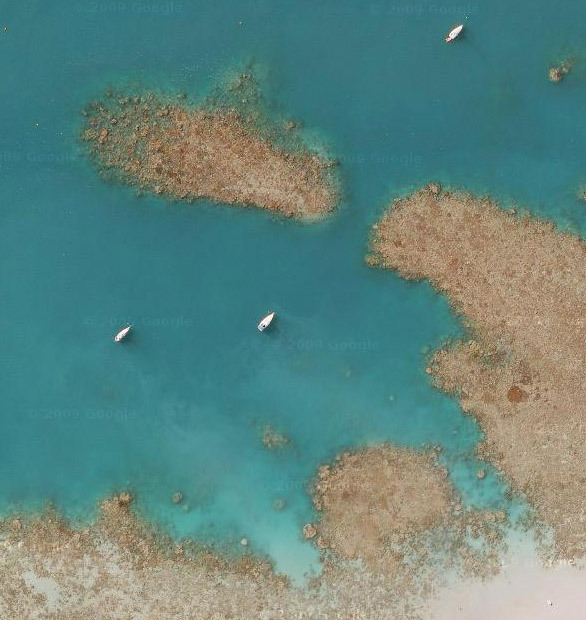 You can pick up a GBRMPA mooring close enough to the reef to be able to swim across and snorkel or dive. When conditions are good you can spend a long time snorkelling here so beware of sunburn. For divers this is a shallow dive and although fish stocks have been depleted by a constant stream of visitors there is still plenty to see. Ospreys nest in the trees and rocky outcrops in this bay hence the name "eaglehawk". Some of the nests have been re-renovated for more than 70 years. Safe, shallow dive to 10 metres. A finger of reef extends in north westerly direction form the southern corner of Stonehaven anchorage. Best to grab the mooring furthest in between Eaglehawk and the southern shore. Fine sediment is in abundance here and the dive can be quite murky if the current is running. However, visibility can be over 60ft in calm conditions. Snorkelling and scuba diving are good when conditions are right. Features soft corals, nudibranchts and sea anenomes.